An early departure fee in the amount equal to all remaining room charges and tax will apply to, and be due and payable from, guests checking out prior to their scheduled departure date. Guests will be asked to confirm their departure date upon check-in. Guests may be able to change their departure date without penalty at the time of check-in, depending on the terms of the rate which they have reserved. Please contact the hotel for further information. What parking options are available for hotel guests? For complete details on parking, please visit the Vdara parking information page. Can vdara guarantee special room requests (i.e., bed type and room location)? All special requests such as high or low floors or rooms near the elevator as rooms are assigned upon check-in based on availability. While requests are not guaranteed, please note that we do our best to accommodate all requests whenever possible. You may also call the Front Desk at 1.866.745.7111 or 702.590.2409 for any special requests. 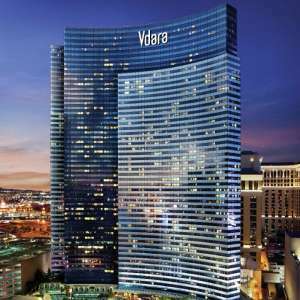 Does vdara charge for additional guests in a room? There is an additional charge of $40 per occupant, per night, above 2 occupants per room. Guests must be 21 years of age in order to check into the hotel. How old do I have to be to check-in to the hotel? You must be at least 21 years of age to check-in. How can I find out about special promotions? You may sign the Vdara guestbook on our website to receive information on specials via email and connect with us via our Facebook and Twitter pages. You may also contact Vdara Room Reservations Department at 1.866.745.7767 or 702.590.2767. Do you allow pets at Vdara? We do not allow pets at Vdara, with the exception of service animals or dogs booked via the Vdog Suite. Can I receive a rate and availability quote, or make a change to a reservation via e-mail? Reservation changes, along with a rate and availability quote, cannot be given via e-mail. For information or assistance, please contact our Room Reservations Department toll free at 1.866.745.7767 or 702.590.2767. Does Vdara have a shuttle or transportation services? There are several shuttles that will take you to the Las Vegas Strip from the airport: Bell Trans, C.L.S., Grayline, ODS, etc. The cost of these services varies per person and at the airport they are located near the baggage claim area. Can I pre-arrange to have flowers or a bottle of champagne sent to a guest room prior to their arrival? Yes. 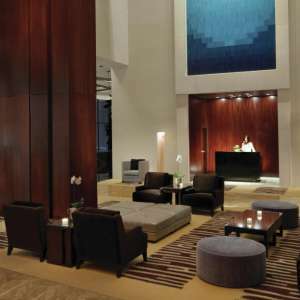 The Concierge at Vdara can assist with special gift ideas, floral arrangements and provide unique recommendations and can be delivered to guestrooms shortly after arrival. You can reach the Concierge at Vdara at 1.866.391.7111, 702.590.2030 or concierge@vdara.com. Our standard check in time is 3:00 p.m., and check out is 11:00 a.m., you may inquire about early check-in with our Front Desk staff upon arrival to the hotel. If our Front Desk staff is unable to provide you with a guest suite upon your arrival our Bell Desk staff will be happy to hold your luggage until a guest suite is available. Guaranteed Early Check-In as early as 11:00 a.m. is available for $50 and Late Check-Out at 3:00 p.m. is available for $50. To add Early Check-In or Late Check-Out to your reservations, please call 866.745.7767. What is the resort fee and what does it include? A daily resort fee of $39.00 plus applicable tax will be applied to all reservations. The resort fee includes: Property-wide high speed internet access (public spaces and in-room), unlimited local and toll free calls, airline boarding pass printing, and notary service. Do you offer hairdryers in your guestrooms? Yes, all of our guestrooms feature hairdryers as well as irons and ironing boards. Does vdara have smoking areas? Vdara is a non-smoking property. Smoking is allowed only in designated areas: -Across the valet area near the dog park -By the stairs at the end of the building going toward Harmon Ave. Trash receptacles at both locations are fitted with ashtrays for your convenience. Please note that e-cigs, vapors, vapes, hookahs, etc. fall under our non-smoking policy and are not permitted on property except for at the designated locations. Thank you for your cooperation. How do I sign on to Vdara's Wi-Fi? - Select MGMResorts-WiFi in your wireless internet setting. - If you are in your room, open your browser and click the box to accept the Terms and conditions for internet access. If you are in the lobby, you will need to open your browser, and enter your last name and room number. Does your hotel provide wheelchairs? Vdara is a completely nonsmoking facility. If there is evidence of smoking of any substance in your accommodation, you will incur a minimum deep cleaning fee of $500 charged to your hotel account. Please note that e-cigs, vapors, hookahs, marijuana etc. fall under our non-smoking policy. Cleaning fees will be applied to smoking in areas that are non-smoking. Can I store personal perishable items in the mini bar fridge? Additional fees may apply if you store personal perishable items in the in-suite mini bars, as they are not set to the recommended food safety temperature of under 40° F (4° C). Please use the complimentary in-suite fridge for such items. Where is the mini bar menu located? Please feel free to explore and enjoy your mini bar. You may remove items for 60 seconds to review ingredients before purchasing. A menu has been provided on your in-suite tablet under Guest Services. Can I download complete publications? Yes. Full issues of your favourite magazines and newspapers are available on PressReader. You can read them in the original printed layout or in a text-view mode designed for easy reading on a mobile device. PressReader offers unlimited access to newspapers and magazines in an easy-to-use app available on every smartphone and tablet. We have more than 7,000 titles from more than 120 countries, in more than 60 languages. Which app stores carry PressReader? You’ll find PressReader in the Apple App Store, Google Play, Windows Store, Amazon, and Blackberry World. Which titles are available on PressReader? Thousands of titles from all over the world are on PressReader. Use the app to browse the catalogue. Can I use PressReader on any device? You can get the PressReader app on any mobile device using any major operating system, including iOS,Android, Windows, Amazon, Blackberry, and Mac. PressReader’s web platform is always available on laptops and other computers connected to the hotel’s WiFi. PressReader can be accessed through your in-suite tablets on the home screen button titled “Newspapers”. Or you can Download the the PressReader app and connect to the hotel’s WiFi network. You’ll automatically get complete, unrestricted access. How do I download newspapers and magazines to read offline? Once you’ve activated your free access period and you see a welcome screen, you’re ready to start downloading.Close the welcome screen, then tap on Publications to view the PressReader catalogue. How long can I keep the issues I download? You can keep any issue on your device for as long as you’d like. How long does the access period last? How many issues can I download? As many as you’d like. How can I obtain a copy of my bill from a past stay? Who should I contact regarding a discrepancy on my bill? Please contact the Vdara front desk by calling toll free 1.866.745.7111 and ask for the front desk or call directly at 702.590.2409. Can I request a donation from Vdara? The social investments made by MGM RESORTS INTERNATIONAL are dedicated to strengthening the communities where our employees live, work and care for their families. For this reason our charitable contributions are focused in Nevada, Mississippi and Detroit, Michigan and our giving areas focus on development of at-risk youth, public education, community development and diversity. If your request falls within these geographic and giving priorities, please visit our website at www.mgmmiragevoice.com for more information. The Concierge at Vdara is dedicated to making your experience extraordinary with an exclusive and unsurpassed level of customized service and personalized attention. Whether you are seeking a destination for business or pleasure, experience Vegas in a whole new way. 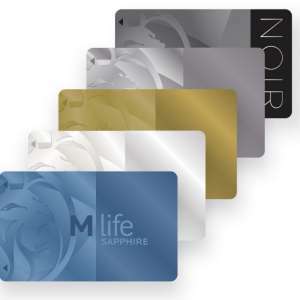 Our M life program is the ultimate way to do what you love to do - and get rewarded for it.